Established in 1717 in an area with heaviest snowfall in Japan Niigata, Aoki shuzou has been brewing classy sake. 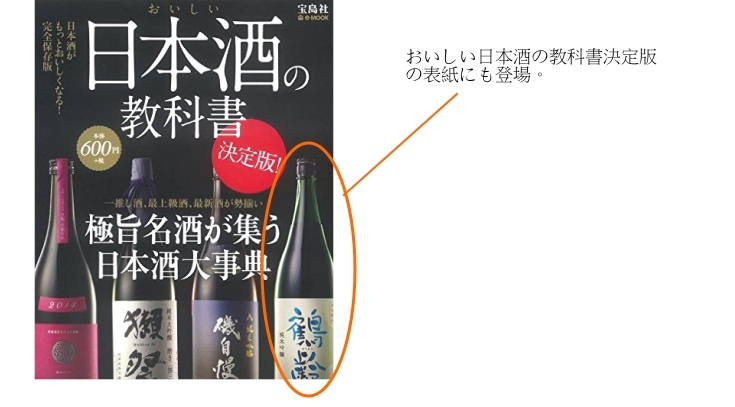 Their Daiginjou is one of the top-ranked artisanal authentic sake in Japan, and their popular editions are most loved at home and at restaurant in Niigata as a premium brand. Generally, sake is pasteurized twice to stabilize the quality, added some water to make texture smooth, and filtered to make sake clear. However, thanks to development of transportation technology and improvement of sake making, today 3U(unfiltered, unpasteirized and undiluted) sake is getting popular in Japan and even in foreign countries. Actually Aoki Shuzou is well known as a pioneer of this 3U sake. In 90’s, it was still difficult to distribute 3U in the market, but Aoki Shuzou had successfully set about commercialization of 3U in 1998. Then, in mid 2010's Aoki Shuzou's 3U had achieved kind of perfection. Sake is made by finest technique among all fermented products in the world. "Parallel multiple fermentation", "Distilled alcohol added", "Pasteurization", "Adding water"... all these traditional techniques have been refined continuously 8th century. Needless to say, Aoki shuzou possesses all these traditional techniques. Although they have played role of top runner of 3U sake making for these 20 years, now they back to the basics yet again, and are trying to integrate traditional skills and modern 3U techniques to make higher level of sake. Obviously Kakurei is getting more preciseness and delicacy year by year. Aoki shuzou never stop, and Kakurei goes further. Today many of breweries implement temperature control by refrigerator or air-conditioning for their cellar. But those electric system cannot provide stable temperature. Temperature goes up and goes down in cycles with noise and vibration. Aoki Shuzou built "snow cellar" to store sake without electricity. This eco-drive snow cellar is ideal facility for long-term and low temperature ageing. The cellar is kept 5℃ through the year stably, then Kakurei is polished calmly and little by little without any stress, and unnecessary factors are shaved off from sake. Niigata is an area of heavy snowfall, and Aoki Shuzou cleverly utilizes this unlimited nature's bounty with free of charge, and feedback to the collaboration between nature and human, called sake. Cloudy version of first press of first "moromi" of this year. Bottled with "moromi" and fermented in the bottle. So it is lightly sparkling. Unpasteurized, undiluted, unfiltered. 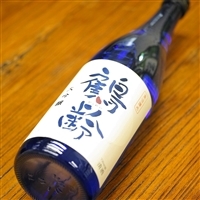 This cuvee is made from 越淡麗 = Koshitanrei, a local rice variety in Niigata and natural water from the symbolic mountain in this area "Makihatayama". Freshly brewed, unpasteurized, undeluted nor unfiltred. This cuvee is full of regionalism of Aoki brewery as a Niigata sake artisan. Kakurei is a pioneer and specialist for "Fresh Sake" which is unpasteurized, undiluted, unfiltered. Kakurei Limited Brew Series #1 is "Tokubetsu Junmai Miyamanishiki 55". 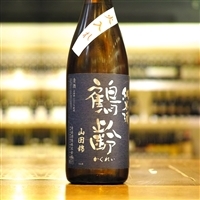 This fresh, rich umami and thick taste is an atypical style of Niigata Sake(known as Tanrei Karakuchi=sharp, light and dry). Not only chilled bottle, but also you can enjoy warm to hot temperature. This is a F1 model of Daiginjou-Sake which is made by very best of the artisanship of Aoki Shuzou. Hyougo AAA Yamadanishiki 100%, polish rate 37%. It offers ultimate authentic style which is clearly distinguished from circus sake. Produced one tank only and entries to Sake competition. Originally 牧之 限定大吟醸、牧之 限定大吟醸 生詰原酒 and 鶴齢 純米大吟醸 山田錦37 are same, but different finish. Sake brewing cannot be completed alone. There are the chief brewer and young brewers devoting great time and effort, farmers growing rice crops carefully and respectfully, liquor shop and restaurant keepers full of passion and thoughtfulness and the habitual Kakurei Drinkers. We cannot have done it without the “wago” (harmonization) of all of the people above. It has been almost 300 years since AOKISHUZO has started brewing Kakurei. We highly appreciate all the constant patronage that has helped us continue to brew sake every year for this long without closing even a year. We will do our utmost to brew good sake to meet your expectations in the years to come. We wish you happiness from the mountainous Uonuma and hope you will be able to continue enjoying great sake.